The Diagnostic and Statistical Manual of Mental Disorders, fourth edition, states that about 1% to 3% of the population is affected by panic disorder at any one point in their lives. But a larger multi-center study conducted by primary care practices reveals that panic disorder is even more prevalent in society. The number of panic disorder sufferers ranges from 1% to 6% across study subjects. 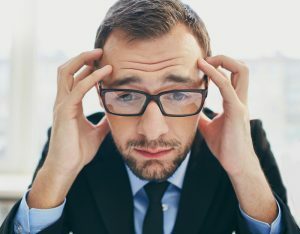 Both types include general anxiety that is connected with work performance and social interaction. Although the number of people with this mental disease is relatively small, those afflicted are truly in agony. Not only the fear and anxiety caused by anticipation of panic attacks, but co-occurring problems are also common. More seriously, one in five of them attempts suicide. So, if you happen to be depressed right now, you need to consider looking into the right treatment for panic disorder at this early stage so that your mental condition will not progress to a level where you will do drastic things that will endanger your life. Patients with panic disorder are some of the most difficult patients to treat. Treatment of panic disorder for these people is often complicated, time-consuming and stressful, both to the patients and their medical providers. His House panic disorder treatment programs begin with an assessment and medical evaluation – knowledge is power, and we want to tailor out program for your specific needs. Which is better among these two panic disorder treatment options? Studies have shown that therapy sessions work as well as medication, if not better. The study suggested that in many cases participating in 10 to 12 therapy sessions worked better than medications – considering that the patients were doing well 6 months after the last session was over. These sessions are actually more like coaching the patient on anxiety management techniques. Another study conducted in 2007 revealed that patients on medication need to continue taking them so that they can maintain the medicinal benefits. Many patients prefer to learn self-help techniques over having to take medications for the rest of their lives. Taking strong medicine to calm the nerves often has numerous adverse side effects. Many patients and medical professionals feel that a therapy-only approach is safer and more complete. With the help of the proper treatment plan, panic disorders can be managed. However, before you can leave this illness behind, you need to face it now and not to ignore it. Sweeping it under the rug will just exacerbate your worries and anxieties. A strong urge to leave the area and retire to a place where you feel safe. You may think that something wrong is going to happen. You may experience feelings of extreme danger. Physical symptoms may also manifest such as a racing heart rate, shortness of breath or chest pains. The intensity level of these feelings usually peaks around 10 minutes after the initial onset. Don’t wait until this mental illness takes a toll on your physical health. A study conducted by the Department of Psychiatry, the State University of New York at Buffalo, USA confirmed the amazing results of the right treatment program for panic disorder. There were 200 patients who participated in this study. Nearly 70 percent of them (136 patients) were panic free after the first 12 psychotherapy sessions. 132 of these patients made themselves available for a 2 to 14-year continuous follow-up. The patients who remained in remission after 2 years were a huge 93. 1 percent. After 5 years, the percentage went down to 82. 4, then after 7 years, to 78. 8 percent and after 10 years, 62. 1 percent. Of the 132 patients, about 23 percent (31 patients) experienced relapses at certain times during the follow-up. This shows, that overall, panic disorder can be treated effectively without drugs, by the right use of our panic disorder treatment plan. If you or a loved one suffers from panic disorders, call His House today. We can help you take the first steps toward controlling these difficult conditions.